Posted in General Health & Wellness on August 15, 2011. Last modified on March 28, 2019. Read disclaimer. This last factor, monthly hormonal cycles, may be one of the reasons why migraines are three times more common in women than in men. Conventional treatments are usually limited to pain medications. Ibuprofen and acetaminophen (Advil and Tylenol) are the first line of defense. Ibuprofen tends to work better on migraines than acetaminophen. Make sure to take these medications with food as they may aggravate the stomach. For more severe cases a doctor may prescribe codeine, ergotamine, or triptans. Codeine is a powerful narcotic painkiller that must be taken with extreme care due to the severity of potential side effects. It can also be highly addictive. Ergotamine works to constrict the blood vessels thereby releasing pressure. It can be taken orally, rectally, or in a nose spray. However, you should beware as this medication also has unpleasant side effects. Triptans are often effective in relieving migraines by changing the serotonin in the brain. Serotonin is naturally involved in the constriction of blood vessels. Since migraine is in part caused by a disturbance of the circulation of blood in the brain it can help to restore balance in the blood vessels. This form of treatment is generally very expensive and again has nasty side effects. Other medications may be prescribed to address the nausea and vomiting and biofeedback. Many people with a history of migraines have been able to identify triggers by keeping a "headache diary." Each time a headache occurs, record the date, location and type of pain, any other symptoms, what you were doing when the migraine started and anything you feel may have triggered the headache. Females should also record what day they are in their menstrual cycle. Some reoccurring migraines can be treated through modifications of diet. Low blood sugar is one of the causes of headaches. If you are prone to migraines eat several healthy snacks such as fruit throughout the day. Limit greasy and fried foods which may trigger blood vessel problems. Chocolate, MSG, and the preservatives in hot dogs and other processed meats and cause headaches, especially migraines. Read labels carefully. A food allergy or sensitivity can also lead to migraines so you may be able to identify these food triggers through an elimination diet. 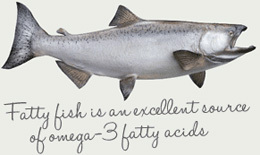 Nutritional supplements to consider include: calcium, magnesium, acidophilus, and EPA (a derivative of fish oils). Herbal teas that are useful are: chamomile, feverfew, ginger, peppermint, and skullcap. Tiger balm can also be extremely helpful when rubbed on the temples, across the forehead, and on the back of the neck. We hope these tips help you to keep those migraines at bay and treat them when/if they do happen again. Try to view changes in your life, work, etc. as challenges rather than threats. Learn time management skills: work off of to-do lists, prioritize your tasks, be realistic in your expectations and abilities, don't take on more than you can handle. Before a stressful event, keep a positive attitude, roll play the event in your mind ahead of time, think through possible contingencies. Learn muscle relaxation, biofeedback, meditation or deep breathing techniques. Even stretching or a warm bath may help to release stress. Exercise or do something you enjoy (like a hobby) daily. Develop a supportive, nurturing network of family and friends. Work on developing your communication and interpersonal skills. Make an effort to iron out misunderstandings or disagreements with others that may be adding stress to your life.